The Palm Jumeirah Monorail is a monorail running down the trunk of the Palm Jumeirah, Dubai’s first artificial island. 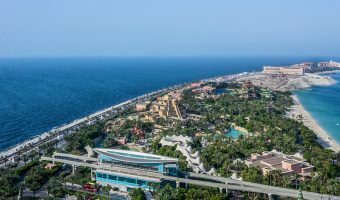 The route is three miles long and runs from the Gateway Station in Al Sufouh to the Atlantis hotel and Aquaventure waterpark. Nakheel Mall Station and The Pointe Station will open when developments near them are completed. 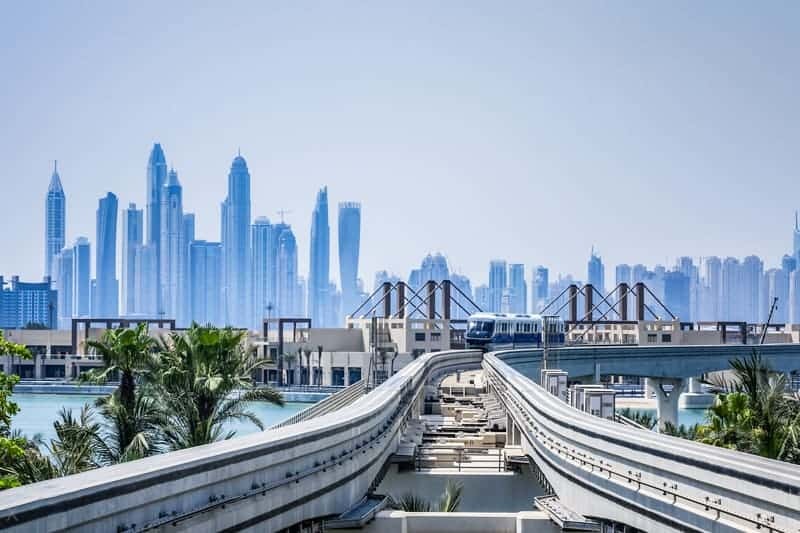 There is no direct connection between the Dubai Metro and the Palm Jumeirah Monorail. 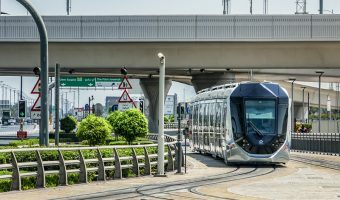 There is, however, a link with the Dubai Tram system via a footbridge between Gateway Station and Palm Jumeirah Tram Station. 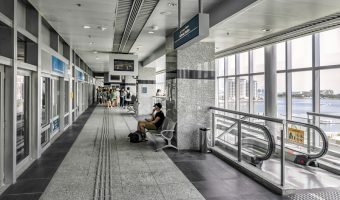 The Dubai Tram network is connected to the Dubai Metro at two stations; Dubai Marina Tram Station and Jumeirah Lakes Towers Tram Station. 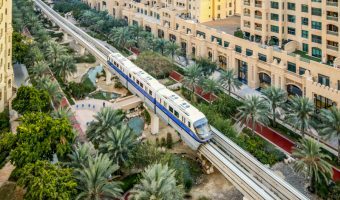 Tickets to ride the Palm Jumeirah Monorail are fairly expensive when compared to the cost of riding the Dubai Metro or the Dubai Tram. A one-way ticket currently costs 20 AED. A return ticket costs 30 AED. Children under 90 cm ride free. There are no other concessions. The Palm Jumeirah Monorail is owned by Nakheel and does not fall under the jurisdiction of the Dubai Roads and Transport Authority (RTA). Their Nol Cards cannot be used. Hours of operation are currently 9 am to 10 pm daily. The journey takes around 10 minutes with departures every 15 minutes. The map below shows the route taken by the Palm Jumeirah Monorail. Click here for an interactive map showing the stations, hotels, tourist attractions, and more. 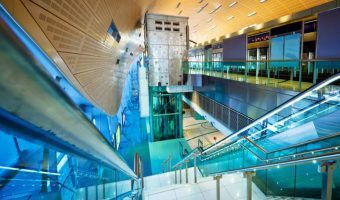 Does a return ticket (AED30) allow you to get on and off at the 3 stations on day of purchase? It is good to know that they only accept cash when buying the ticket. There is an ATM inside the bank outside the elevator at street level. I had to go all the way back through the parking garage (it’s a bit of a trek to get to the monorail, follow the signs on the floor in the parking garage). I do recommend going on the monorail, it has nice views. Try to get a seat in the front, as there is no driver, that is where the best views are. You can also get out and look around at the end stop, there is a mall and a boardwalk and of course the waterpark. This site says a return ticket costs 25 dhs, but I have paid 30 dhs. The price was out-of-date. We have since updated the page with the latest ticket price. When will Palm Mall Station and Trump Tower Station be open? Monorail station next to the Atlantis hotel and Aquaventure waterpark.